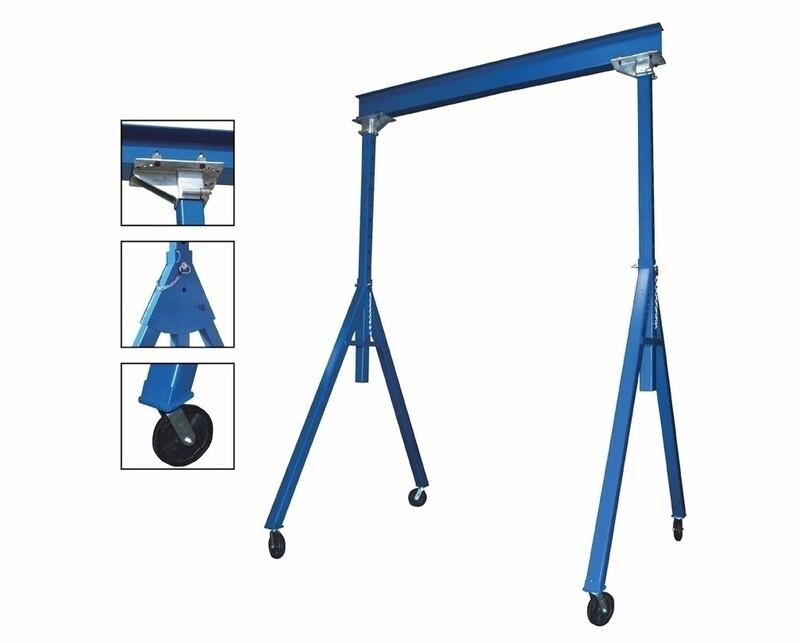 ADJUSTABLE & FIXED STEEL GANTRY CRANES, Height: Adjustable, Cap. (lbs. ): 2000, Beam Length Deduct 12" for distance between uprights. : 15', Beam Height: 6", Under I-Beam Height to ground for Fixed: 7'6"-12', Base Width: 76-1/8"
See Related Items tab for available options.